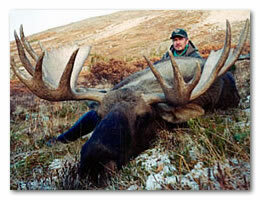 10-day 1x1 guided moose hunt with our expert outfitter in his exclusive Yukon wilderness concession. Click here for details on our hunt in the Yukon. 5-day guided hunt with meals, lodging, airport pickup, taxes, export permit and trophy care for $3,800. 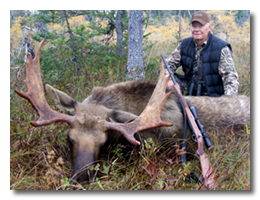 Click here for more information on our moose hunting. 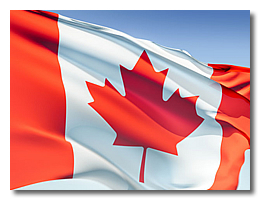 Bringing your firearm into Canada for moose hunting is a very easy process if you have completed the proper paperwork. We can help. Click here for a link to download the proper forms.